The Sebastiani family feud is one of the most publicized in Sonoma County. In 1986, Sylvia Sebastiani fired her oldest son, Sam Sebastiani, and put her other son Don in charge. Sam Sebastiani started his own winery, Viansa, but it was not successful and was subsequently sold. Sebastiani Vineyards was also sold and Don launched his own company, Don Sebastiani & Sons, which has been very successful. The firm operates largely as a negociant, buying and blending bulk wines. It is hard to keep up with all the different Pinot Noir bottlings under the umbrella of the negociant wine company, Don Sebastiani & Sons. The main wine division of Don Sebastiani & Sons has been the Three Loose Screws Wine Company which includes the popular Smoking Loon and Pepperwood Grove labels made from purchased bulk wine and selling for less than $10. Pinot Noirs are also released under The Crusher, Aquinas and Don & Sons label and are a step up in quality and price. In 2008 Three Loose Screws Wine Company sold 1.7 million cases and The Other Guys sold 130,000 cases in 2009. 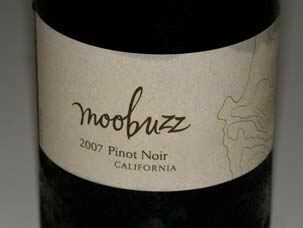 The higher-end division of Don Sebastiani & Sons, The Other Guys, was spun off by the three children of Don and Nancy Sebastiani (Donnie, August and Mia), and includes Moobuzz Pinot Noir. The market for The Other Guys wines is directed at restaurants and retailers and sales were 130,000 cases in 2009. The Other Guys is an innovative brand, directed at millennial wine drinkers, including names such as Loose Fitch, Pennywise, Hey Mambo, Screw Kappa Napa and Plungerhead and new packaging like screw caps and Zork closures. Their tag line says it all, “Laid-back guys, stand-out wines.” I love the idea. In 2009, Don Sebastiani & Sons was reorganized. The Three Loose Screws Wine Company became Don & Sons under the direction of father Don's son Donnie and The Other Guys became a stand-alone company run by son August. Both companies are under the Don Sebastiani Family Wines umbrella. In early 2017, Don Sebastiani & Sons announced the re-invigoration of The Crusher portfolio of California wines with a new label design and new California label designation. 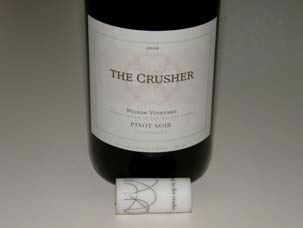 The Crusher lineup includes Chardonnay (both oaked and non-oaked), Merlot, Red Blend, Pinot Noir, Petite Sirah, Cabernet Sauvignon, all priced under $15. The Crusher is one of 14 wine brands in the Don Sebastiani & Sons wine portfolio.